Festivals manifest emotions, culture, traditions and more. From decorations and dances to fireworks and food, most feel a sense of delight in every aspect of festivals. Communities celebrate festivals generally based on their religious beliefs or culture. There are numerous types of festivals in the world and most countries celebrate important events with traditional cultural activities. Many festivals culminate in the consumption of specially prepared food and in bringing people together. 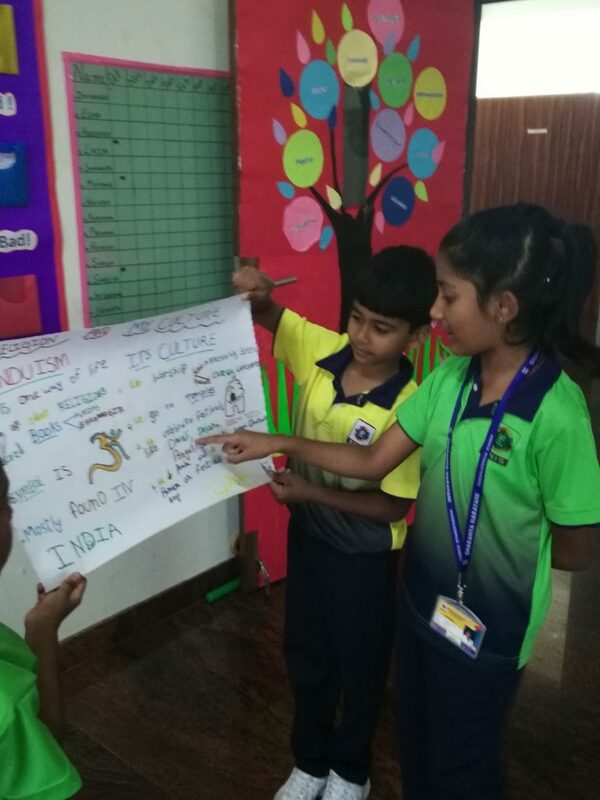 At Sharanya Narayani International School, the students of grade 2 discovered that festivals and celebrations are unique and wonderful ways in which people express themselves, and are beautiful reflections of their beliefs and values. They inquired into the ways in which people of different cultures and religions expressed their ideas, beliefs and values through the multitude of world festivals and. Through these inquiries they started to appreciate the aesthetic value and creativity of festivals. The students first noted what they knew of world festivals and celebrations and what they would like to know more about. They inquired into each festival in depth. 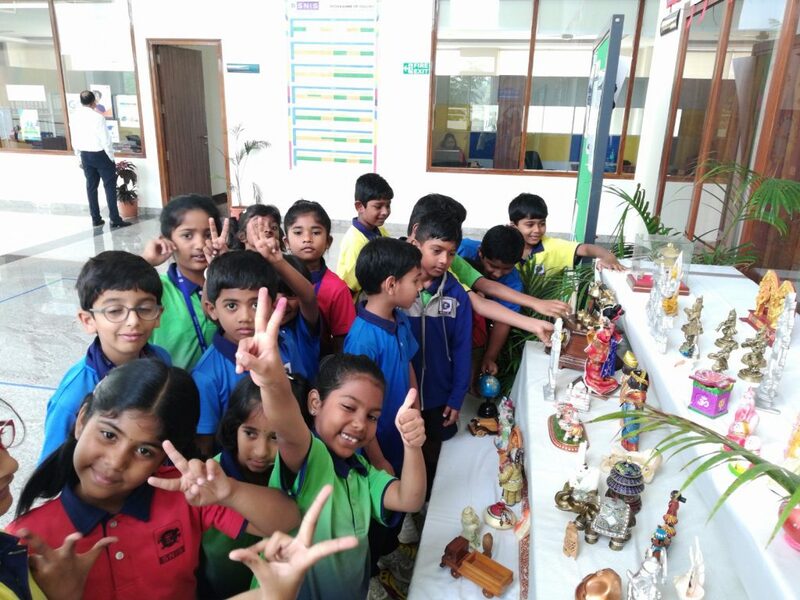 Students of one faith gained a deeper understanding and exposure of the festivals and traditions of another faith thus creating a bond of understanding, of the different cultures, beliefs and values of their fellow classmates. 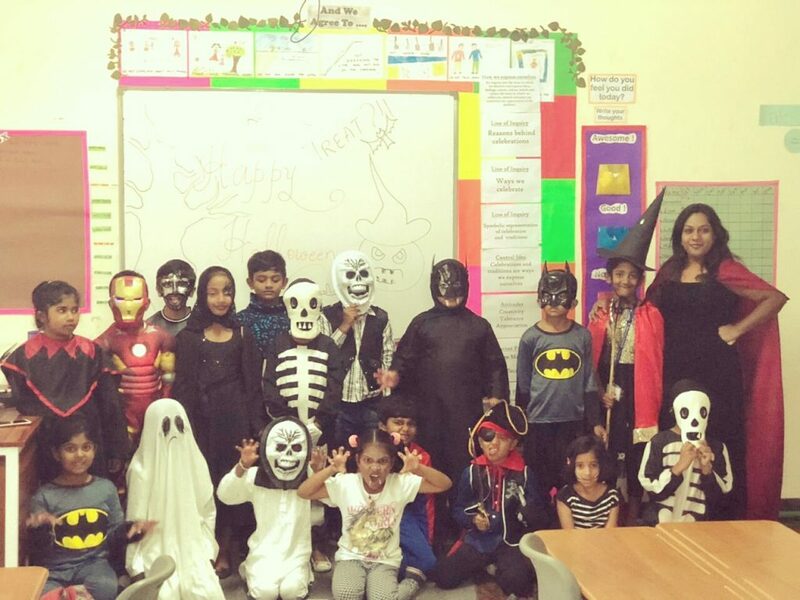 The students next inquired into major religious festivals such as Christmas, Diwali, Ganesha, Eid-ul-Adha and Dasshera. Each festival was researched by watching numerous videos, taking trips to the library, collecting artifacts and by inviting guest speakers. The students were enraptured with the ancient tales and myths that were the origins of many festivals. They discovered that many festivals were celebrated based on different calendars like the lunar calendar or Hindu calendar. Once the research was complete, the students organized the information and presented their understanding to the class with illustrations and write ups. They each spoke about what they liked most about each festival and aspects they might like to change, which led to healthy discussions and debates. Each festival was celebrated in class with traditional attire a special dish of that festival and an inter-house dance competition showcasing Indian folk culture. Next to religion and folklore, many festivals are associated with harvest time. Religious commemoration and thanksgiving for good harvests are blended in festivals such as Halloween, Lori, Onam, Vaisakhi, Pongal, Sankranti and Tomatino . The students inquired into many national and international harvest festivals. 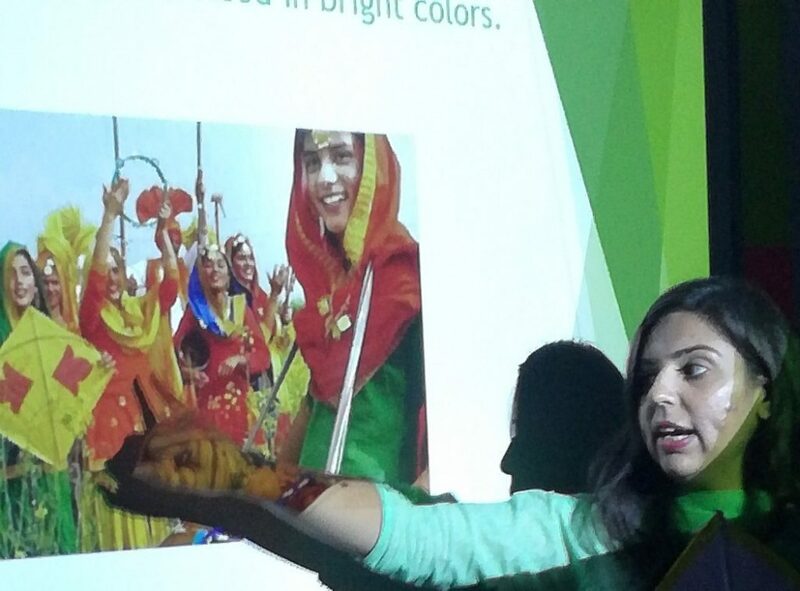 Guest speakers were invited to give talks on festivals celebrated in their agricultural regions. These experiences were particularly effective because these speakers were able to give a direct personal insight into the origin of the celebrations. By the end of this unit, the students had gathered immense knowledge, insight and understandings into the genesis of innumerable world celebrations and festivals which were expressed in the form of exhilarating dances, whose vibrant costumes and music have a connection to the land in which the people live, and dishes prepared with a link to the harvest and the season. All of these experiences were woven inextricably with beliefs and values of the people manifesting their traditions and cultures. Finally, the entire inquiry helped the students understand that essence of celebrations is to spread joy and happiness. Children’s Day was celebrated through a school presentation to raise awareness on various key issues related to children such as child labor, begging, abuse or female infanticide which concluded with a contemporary dance highlighting the message that together we can give children a better opportunity to live with dignity and security. 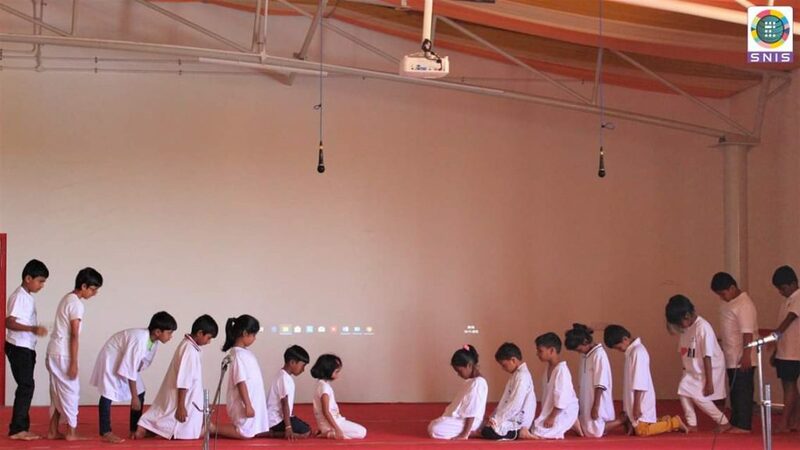 Through the assembly, the students touched hearts of the viewers to be conscious and empathetic towards children around them, aiming to at create awareness which in turn provokes others to act, to reach out, to make a difference in the life of at least one child, thus truly celebrating Children’s Day. Creating empathy among learners improves critical awareness and thinking which leads to problem solving. If our young generation of learners are becoming critically aware of social and environmental issues and are solving problems, then we are investing in them for a better and a brighter future. 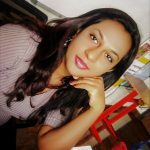 Jesuveni Shenoba is a homeroom teacher at Sharanya Narayani International School, India and has more than 12 years of teaching experience, two of which are with the IB Primary Years Programme. Jesuveni is currently pursuing a Bachelors degree in Education as well as a Masters Degree in English literature. Do you mind sharing your Central Idea?